I love the song Get on Your Boots off No Line on the Horizon specifically for the line “Let me in the sound.” It summarized my entire three-month road trip on the U2 360 tour in 2011. It was sort of my anthem as I traveled across the country driving to all 16 US U2 360 shows. 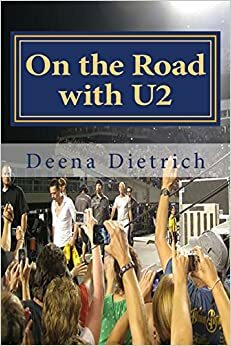 I coupled it with a line from Breathe, “I’ve found grace inside a sound” – “Let me in the sound.” When I listen to Get on Your Boots now, I flash back to hearing it live on the U2 360 tour. 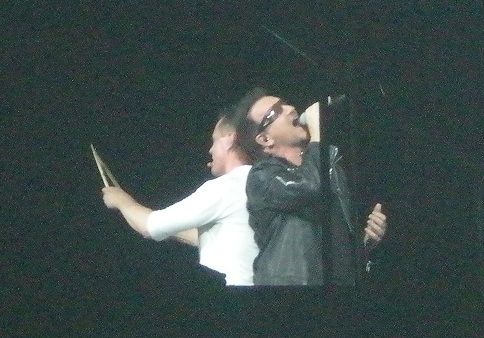 Larry and Bono would stand back to back and sing, “LET ME IN THE SOUND!” Larry singing while standing and beating the drums would get me SO excited! The song’s music as a whole is very energetic and makes me really happy! But the line, “Let me in the sound,” just does it for me.